Dr. Oz, famous for telling it like it is, provides an anti-cancer shopping list list on his website. At the top of the list are blueberries. Blueberries are phytonutrients, or plant based antioxidants that may have health benefits beyond nutrition. The blueberry is a member of the flavonoid class of anthocyanins which are natural pigments responsible for blue, purple, and red colors in fruit. 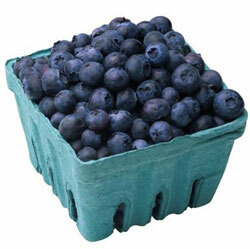 The blueberry has high levels of the antioxident, ellagic acid, which is sometimes referred to as an anti-carcinogen. Note that the American Cancer Society does not promote blueberries or ellagic acid at the same level as Dr. Oz. They state in an article revised 11/2008: at this time there is no reliable evidence available from human clinical studies showing that ellagic acid can prevent or treat cancer. Dr. Oz referencing his Anticancer Diet in a TIME magazine article published, June 13, 2011, states: "It's no guarantee of health, but it sure gives you an edge." City of Hope researchers suggest you consult with your personal physician before eating abnormal amounts of blueberries, strawberries, or any phytochemicals, because they can interact with certain medications. Blueberries do contain vitamins and minerals in small amounts but there is no solid evidence that eating them will combat disease.